Artificial intelligent (AI) systems are able to perform tasks that normally require human intelligence, such as visual perception, speech recognition, decision-making, and translation between languages. Every day, scientists learn more about the activity and the entanglement artificial intelligence has in human daily lives. Usually this is occurring without human knowledge or permission whether legal or illegal, ethical or unethical. The gathering of humans’ personally identifiable information (PII) from voice, text, and facial recognition and other data points is agreed to every time an individual visits, joins, or purchases from a website – any website – and agrees too often to unread end user license agreements (EULAs). It is important to give this cross-correlate of artificial intelligence context through specific human thought. It is essential for self-discovery to fully understand the relationships that are evolving between artificial intelligence, human brain activity, and human states of consciousness. Humans are transforming with or without conscious consent, and these phenomena warrant further research. Humans have myriad states of consciousness, but for purposes of this research, the focus will be on phenomenal consciousness and social cognition. On the one hand, each individual possesses a sense of self that psychologists, biologists and neurologists may suggest is neuronal, stimulated by dendrites and electricity in the brain producing synapses that are measurable. These neurological activities combined with chemicals and hormones produce a first-person, subjective perspective that takes on the external world. The world is a requirement for human minds to create this “otherhood” in order to discern what individuals are as embodied self. However, few people consider how fragile the “other” process is until context is provided. Metzinger examples the self-model of astronauts who lose their phenomenal body axis after spending some time in space. They lose the subjective feeling of where the top and where the bottom of their bodies are (2000, p. 290). The astronauts require another astronaut to touch the sole of their foot and then instantly the phenomenal body image will lock into a subjective top-bottom axis again. Some may attribute this to the weak force of gravity in space being absent but it is equally, if not more so, the human need for social cognition. Human phenomenal context in the Western world is inundated with stimulus-dependent, artificial intelligent, social cognitive cues. Social cognition focuses on how people process, store, and apply information about other people and social situations. Artificial intelligence through neural networks, cookies, bots, and analytics correlates machine cognition to human social cognition. From the pixel-infused graphics on the weather and news channels through to YouTube videos and even human reward-loyalty cards at one’s favorite grocery, human patterns are being bought and sold, sliced and diced, stretched and shortened in order to know you better. In this sense, artificial intelligent networks seek to be the user’s neuronal twin. Entering the discussion are more professions, lawyers and political scientists, where AI may invoke a constitutional issue for some, political or social justice issues for others. These opinions are also tracked and commodified on social networks and blogs. The fact that user preferences and back-tracked security questions (think: friends in childhood, the first street you lived on, first kiss, and/or name of first pet) are extracted to build a consumer profile into perpetuity is disconcerting. Combining this with credit information being sold to strangers titled “third-party affiliates” would seem to lean on some privacy statutes or laws but it depends. The privacy argument involving AI is comparable to chasing a villain moving at nearly the speed of light. Even the previously mentioned astronauts cannot catch up with data speeding over fiber optics at 186,282 miles per second (actually 99.7% speed of light) (Anthony, 2013). The human phenomenal mind tends to resolve the uninvited AI twin’s presence by perceiving oneself as an honest person with nothing to hide. AI and cybersecurity professionals hear this rationalization all the time until a hack occurs. Hackers are not respecters of terminology like "honesty" or "privacy," thus the legal and social dilemma continues. The challenge for users having little-to-no-control over their gathered data is a difficult one. In exchange for using a company’s website or ecommerce, that company gets the rights to commodify the data-organ removed from each previously unique human. Once human information is extracted it no longer belongs to you although just like a heart transplant you can generally know where it’s going. The first step is to discover that there exists an artificial intelligent twin accompanying your online usage and then watch the AI twin influence the advertisements and suggestions following your web activities throughout the day(s). Second, becoming mindful of how often you click on those advertisements and how regularly something is purchased based on an AI suggestion. Information, such as a user preferring black shoes over brown shoes, is sold to the next shoe vendor who will send an ad with black shoes to the user’s browser next. To up the ante, analytics experts will slice and dice the metadata to discern that 85% of people who wear black shoes also earn $175,000 and above. The user then begins to receive financial planning advertisements, high-end exotic travel invitations, and donation pleas. It is possible to receive solicitations from a particular political party based on analytic information. None of this is coincidental but the work of the AI twin. Correlating one’s perception of self-intelligence versus artificial-intelligence is worth thinking about. What it means to be a human being is under siege. Humans process information and artificial intelligences process information; humans learn and AI learns; and, humans walk and talk. Visit any of Google’s many robotic companies to see AI walking and talking (Estes, 2014). AI needs a human to program them to function in a certain way but once programmed, coders still do not know exactly what happens in an artificial neural network’s “black box.” From a consciousness point-of-view, or the human black-box, consciousness is self-evident but exactly how it works through the brain remains mysterious. There are several developments being presented this century and it will require more reliance on the finer-grain parts of the brain to engage in self-discovery and mindfulness as scientifically empirical and conceptual. Before the evolving human journey can be understood, the first explorations must be the neural correlates of consciousness or the contents (data) of human consciousness. The contents are not simply going to the store to get bread and eggs because the weather channel said a blizzard is coming. That behavior belongs to the realm of creature consciousness and utilizes the coarser-grains of the brain (Chalmers, 2000, p. 18). Finer-grain activities of the brain are not duplicate-able by artificial intelligence. We can, however, utilize AI as information processors to discover these unique parts of ourselves. On the other hand, social cognition can produce different and competitively important results. Cognition does not merely react but also produces information. Social networking information has two primary paths: 1) it is like honey-to-the-bee for artificial intelligence data-gathering and cyber-intrusions of all kinds, as deployed on browsers, Facebook, Twitter, LinkedIn and others. Mobile phones and devices are GPS intensive, as are chipped-cards, televisions and even newer and shared OnStar/Sirius vehicles including bicycles. Cell towers attenuate devices perpetually. The door to the human socio-technical self opens to a growing artificial intelligent world; 2) specific social purpose that distributes, evolves and promotes the growth of the users towards self-discovery and mindfulness. This level of the brain can utilize the samples of the digital world while having its greatest energy in predominately analog waves. Artificial intelligence is understood through human phenomenal first-person. 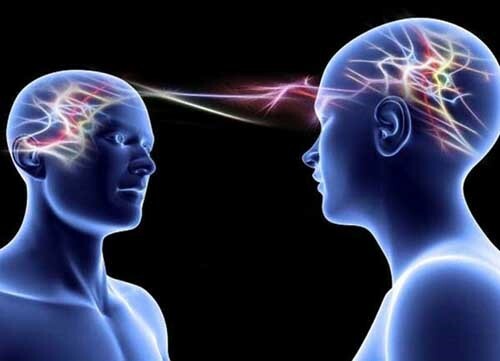 Through self-discovery, mindful humans are able to land onto their own phenomenal first-person the same way a bird lights on a tree branch. This is not a decorrelation of consciousness from social cognition; instead, it is understanding the proper order of being uniquely human. Revonsuo proposed a virtual reality metaphor of consciousness where the brain realizes the phenomenal plane (first-person) and then creates the experience through its neural systems (Singer, 2000, p. 65). Consciousness utilizing the neuronal brain constructs real-time simulations of a human’s place in the external world. Time spent on self-discovery and mindfulness helps humans resolve being essentially analog lifeforms living in a now vastly digital AI world. Mindfulness helps humans to resolve the messiness or asynchronization between neuronal firing in thought and action and perception in the external world. Human consciousness is dynamic including awake state, dream state, meditation state, and so many more. Each of these states contribute to perceptions in human life if sufficient attention is paid to them. Some neurologists suggest that “…object-oriented information is never made explicit at the level of individual neurons, instead being coded in an implicit manner across a distributed set of neurons.” (Singer, 2000, p.109). As implicit, yet distributed cognitive beings, humans must also pay attention to other humans lest we forget what’s up and what’s down. Social cognition can be of great benefit, psychologically nutritious and emotionally intelligent, through conversations and communications that are full of meaning and substance. There is a universal craving for social connections where people are genuinely engaging and understanding what is being shared by other real humans (versus digital bot interactions of any kind). Humans clarify and strengthen each other through being dynamically analog, fully-present and entangled. Fully-present does not have an artificial intelligence component. 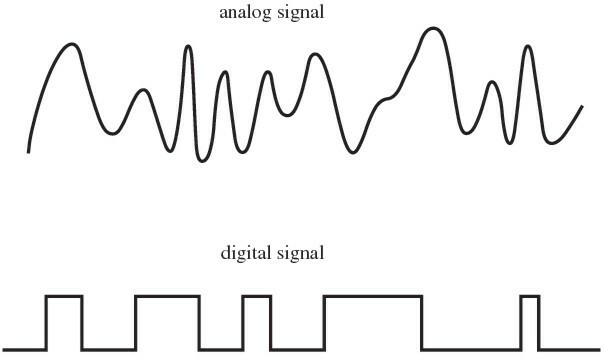 It cannot be digital since digital waves are created by sampling (picking off “the bones” of) analog waves. It can happen on the phone but is not phony. Thus, being present and wakeful, transparent and authentic, sleeping well, and meditating (being mindful) require the finer-grain parts of the brain where there is an absence of digital technology. There is no better time than the present to take advantage of the new knowledge of the human brain availing itself to a conscious experience of self-discovery, mindfulness, and beneficial social cognition. Anthony, S. (March 25, 2013). Researchers create fiber network that operates at 99.7% speed of light, smashes speed and latency records. Retrieved from https://www.extremetech.com/computing/151498-researchers-create-fiber-network-that-operates-at-99-7-speed-of-light-smashes-speed-and-latency-records. Chalmers, D. J. (2000). Neural correlates of consciousness: Empirical and conceptual questions. Massachusetts Institute of Technology. Estes. A.C. (January 27, 2014). Meet Google’s robot army. It’s growing. Retrieved from https://gizmodo.com/a-humans-guide-to-googles-many-robots-1509799897. Metzinger, T. (Ed.) (2000). Neural correlates of consciousness: Empirical and conceptual questions. Massachusetts Institute of Technology. Singer, W. (2000). Neural correlates of consciousness: Empirical and conceptual questions. Massachusetts Institute of Technology. Dr. Desiree L. DePriest is an IT/AI and instructional design professor at Kaplan-New Purdue University for 13 years. Desiree’s expertise is in information systems and artificial intelligence in business environments. She holds a Ph.D., in Management & Organization with emphasis in Information Technology, along with two masters degrees (Telecom and IS respectively). Desiree has a Bachelor of Science degree in psychology and two certificates in ABA and I-O psychology which greatly assist in her work in the various areas of business intelligence, industrial and organizational motivation and attitudes. She is the Vice-chair of the IRB. DePriest created KapTechnology at Kaplan University which is an internship for IT and business students wanting real world experience prior to graduation. She also created the Graduate Information Technology Association (GITA) and serves as Faculty Advisor. 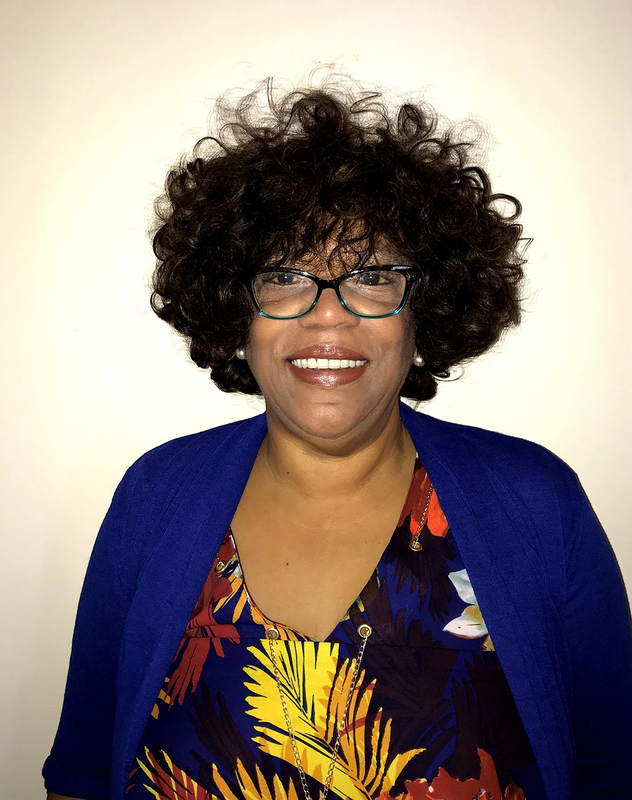 She recently won the “Best Practices” award for her work in the internship from the American Association of Adult Continuing Education (AAACE). Her publications include research in persuasive and predictive analytics, artificial intelligence and augmented reality, and pattern recognition. Her recent interests have expanded to neural correlates of consciousness (NCC), quantum teaming (QT) and cognitive coupling (CC). Quantum Teaming is the equivalent to other quality management methodologies with particular focus on virtual team environments. Desiree presents throughout the year at conferences in these areas. She is the author of Quantum Teaming: The Primer, available on Amazon.com. The fully-exploded Quantum Teaming book is scheduled for publication in the near future. She can be reached at ddepriest@kaplan.edu. Discussion of "Conscious Self-Discovery, Mindfulness, and Social Cognition in an AI World"
Version 9 id 1544977 of this page, updated 10 January 2018 by Shalin Hai-Jew. Created by Shalin Hai-Jew.